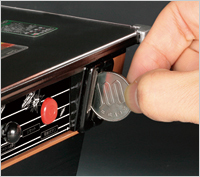 This Space Invaders Bank not only can help you save for the future purchase of a full size table — because I know you are, but it also is a playable mini-table. 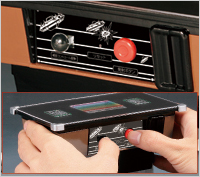 The buttons on the side control the action on the top screen. 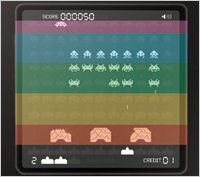 The bank even has the authentic Space Invaders sounds. It will set you back $60, but that’s a small price to pay for memories of your childhood isn’t it? Check out some other Tomy creations like the Karaoke Box, Human Tamagotchi, and the QFO.